2018 season was a great season for us. And we noticed a big increase on the visits we had thanks to the exposure on social media and other marketing platforms that had been noticed from the inside of the restaurant. We also had great feedback from almost all our clients that all helped up to spread the news about our restaurant that is still unknown in part of the island. 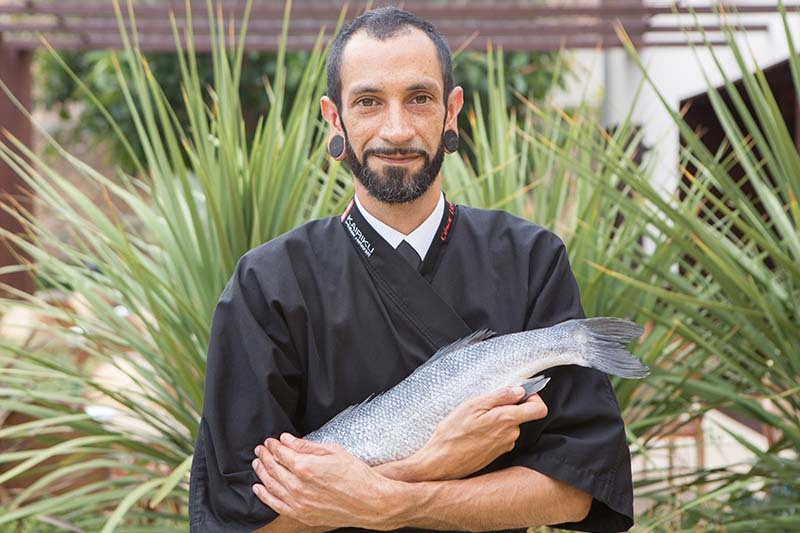 Being part of the Michelin Guide is also a great recognition and if we add comments from gastronomic critics like Luis Turell, saying that Kairiku is one of the best Japanese restaurants on the Island or even in Spain, makes us very happy. We are very proud and all this gives us lots of excitement to keep offering our daily gastronomic ritual. During this new season, which starts on the 21st of March, we will keep the Omakase “Trust the chef” ritual, where I will present every day my best proposals to the 10 clients that will share Kairiku’s table as we have been doing last season. But we will add new recipes and innovative ingredients to keep surprising our client’s every evening. Japanese food lovers can’t miss the opportunity to visit us in 2019 to enjoy a unique experience in Mallorca that only Kairiku can offer, in a cosy, relaxed and delightful environment at Sa Creu Nova Petit Palais.